Back to School is an exciting time for kids as well as parents. 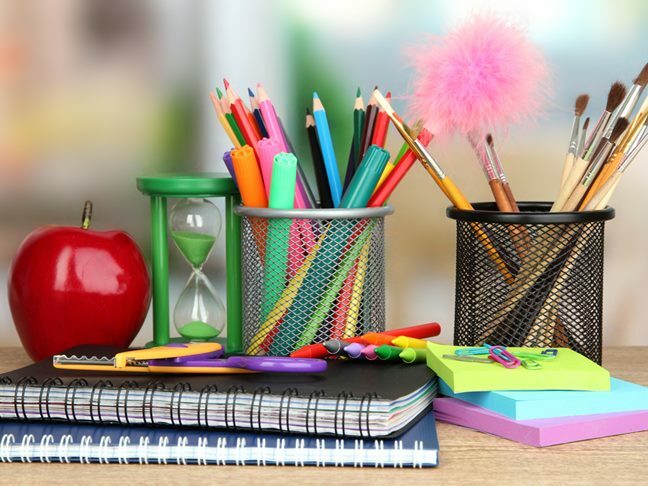 There are new classes to start, schedules to get back on and school supplies to shop for. I use three tips in order to keep our back to school shopping within budget yet still getting all we need with a few fun things thrown in. I really think there is no reason to pay full price for any school supplies. There are so many deals at stores like Walmart and Target that you can find super cute and fun pads of paper, binders and lunch boxes all on sale. I remember how much I used to love going back to school shopping with my mom. Now though there are so many sales online that I take my kids shopping for the basics, and to check fit and then I come home and scour the internet to see if I can find them for less. During summer it’s all well and good for my kids to snack through the day, but once school is back in session I make sure to have a meal plan for the week. Every Saturday I look ahead to what our plans are for the upcoming week. Then I figure out dinners and lunches, it all goes on the Family Food Calendar in the kitchen so everyone knows exactly what is coming up. Then I do one big shopping trip, that way I can take advantage of as many coupons and deals as I can at one time. With these three steps I take some of the stress that can accompany Back to School out of the equation. What do you do to keep your Back to School shopping in check?